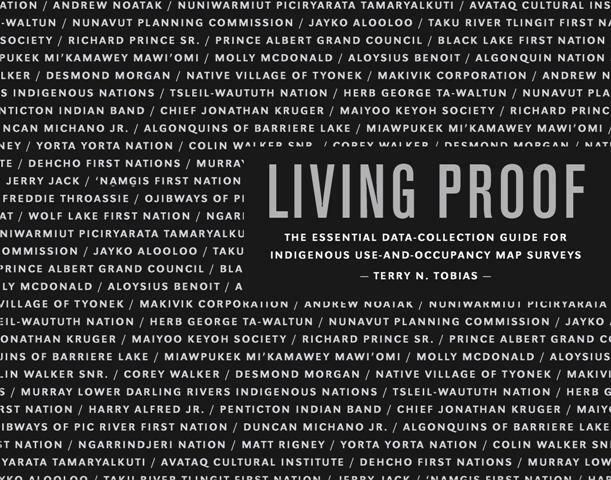 In 2012 Terry Tobias, author of the methods text “Living Proof: The Essential Data-Collection Guide for Indigenous Use-and-Occupancy Map Surveys”, and his team of interviewers were hired by the Lhoosk’uz Dene Nation to conduct a Use-and Occupancy map survey with the community. After carefully selecting a sample of community members, they were able to assist the members in documenting over 2,500 cultural sites throughout the territory. 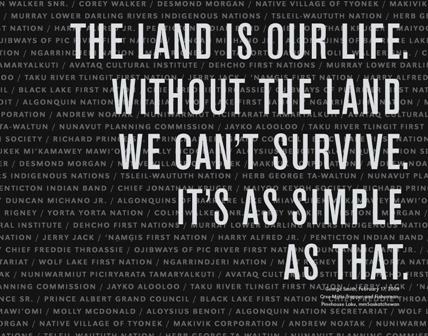 As described in Living Proof, the Tobias methodology is expansive, in-depth and is used throughout the world as a tool for Indigenous peoples who are looking for ways to assert their ongoing ties to the land. Based on sound social-science principles and an extensive body of expertise, Terry takes a rigorous approach that encompasses all levels of methodological detail, from the broadest to the smallest. His book was written with support and knowledge of many practitioners as well as generations of experience in many Indigenous communities within their respective territories throughout Canada, Alaska and Australia. The book is directed largely at indigenous communities and their researchers. It emphasizes the creation of map biographies – maps generated from individual interviews with indigenous participants that depict land use and occupancy for specified time periods and locations. Indigenous groups are producing these land-use maps as central components of their negotiations with governments and industrial developers. Terry’s goal is to introduce a scientifically rigorous process for generating the data with which these maps are created. In doing so, he establishes a methodological standard against which use and occupancy maps can be evaluated. The research conducted in Kluskus consisted of detailed interviews with a number of community members in order to provide maps displaying culturally sacred places, habitation sites, traditional hunting grounds, traplines, fishing sites and plant harvesting areas. “Living Proof is about a land use-and-occupancy research method called the map biography. It is structured as a how-to manual to help readers design and run the data-collection component of a successful map project.